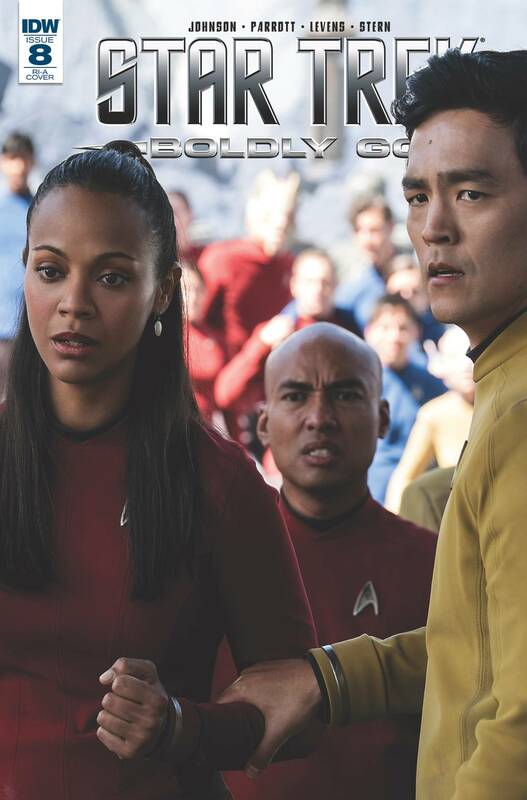 It's up to Kirk, Spock and the Academy cadets (including their newest member, Jaylah from STAR TREK BEYOND!) to solve the murder of the Romulan ambassador before the Babel peace conference ends in disaster and a new course is set for galactic war! The finale of an epic storyline with guest artist Megan Levens! Bullet points: Part two of a classic 'whodunit'...Star Trek style! Following the events of Star Trek Beyond!